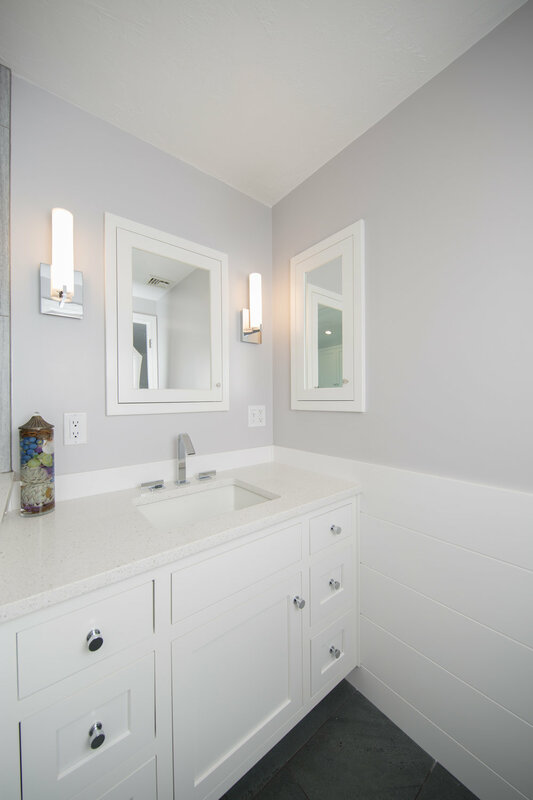 The before and after of this master bath is unreal! From dark and outdated to bright and modern! BEFORE: The cramped space felt tight with heavy black cabinets. 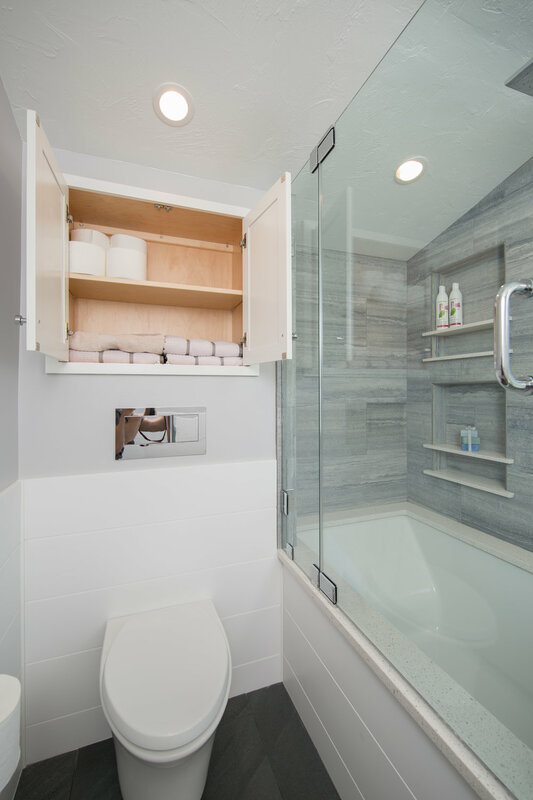 AFTER: A modernized redesign of the room and a wall-hung toilet makes it feel like a totally different space! Check out that gorgeous shower head!